Fliers arriving at Swedens two biggest airports, Stockholm Arlanda and Goteborg Landvetter, can now kill time while waiting for their luggage by playing video game classics “Ms. 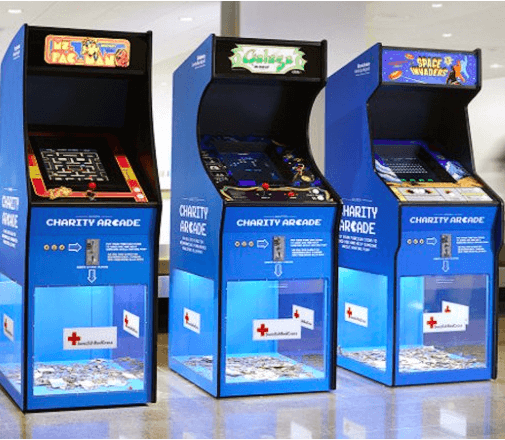 Pac-Man,” “Space Invaders” and “Galaga.”Best of all, the machines in the “Charity Arcade” are custom-made to take coins of any currency, whether its yen, euro or pounds, and all the money is donated to the Swedish Red Cross. —CNN.com. 28 Mar 2015 in Aesthetics, Culture, Design, Ethics, Games, Health, Media.